Prehistoric dinosaurs come to life through your own creativity! Uncover the dinosaur fossils (flexible building pipes and connectors) and then follow the step-by-step photo instructions to turn them into an amazing dinosaur display. Meanwhile, creativity becomes a mesmerizing learning experience as kids explore the full-color book, filled with fascinating facts, a riveting short story, and fun jokes. There's even a dinosaur fossil friend who's happy to tag along! 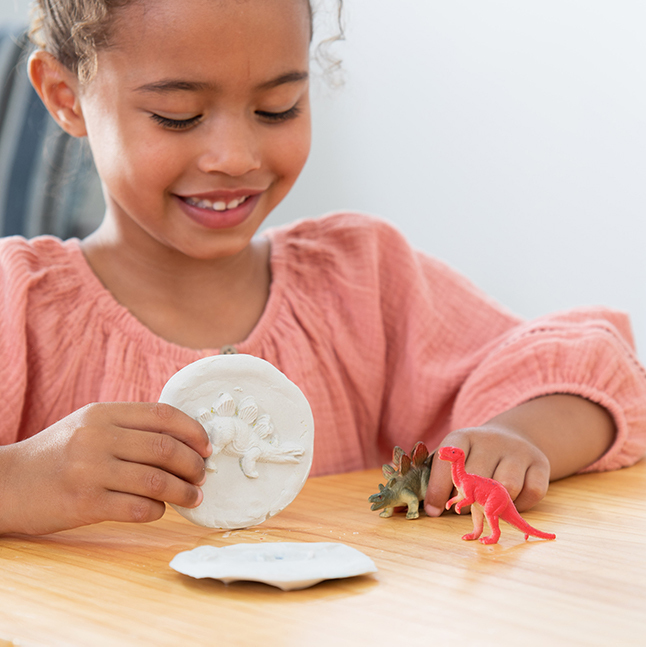 Get hands-on with the wonders of paleontology with the Surprise Ride Build a Dinosaur Science Kit. Build a dinosaur display using flexible pipes and connectors while learning about paleontology! It was exciting and challenging. Very thought provoking for my grandson.